Cherry-red flowers, dark purple leaves. 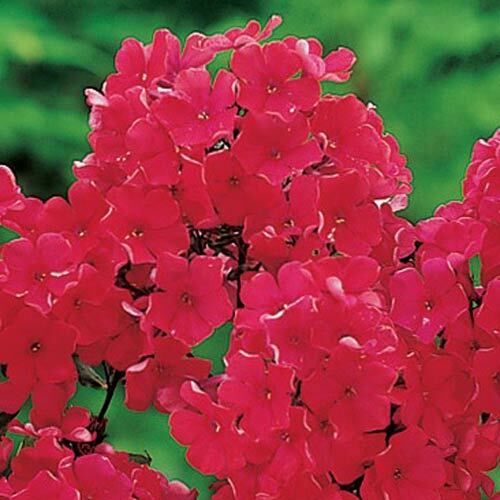 Garden Phlox, or "Flame Flowers," bloom in profusion with huge 5-6" flower heads for months when little else is blooming. They are fragrant and showy, with brilliant, non-fading colors. Growing 2-3' tall, they are excellent for perennial borders, corners and cut flowers. The foliage is dense and compact with deep green, lance-shaped leaves with prominent veins. 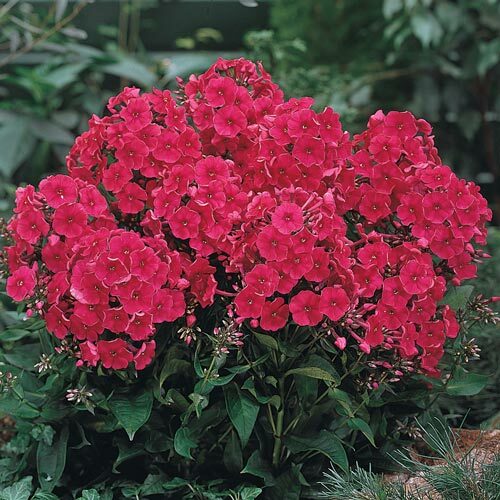 Plant about 18-20" apart in rich, well-drained soil in full sun or light shade. 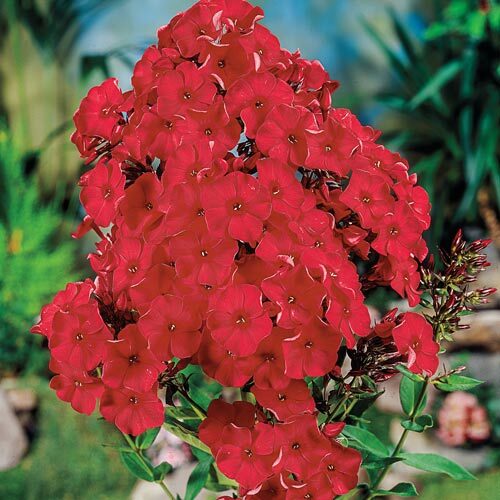 Individual tubular flowers up to 1" across form a dense pyramidal panicles up to 6-8" across.